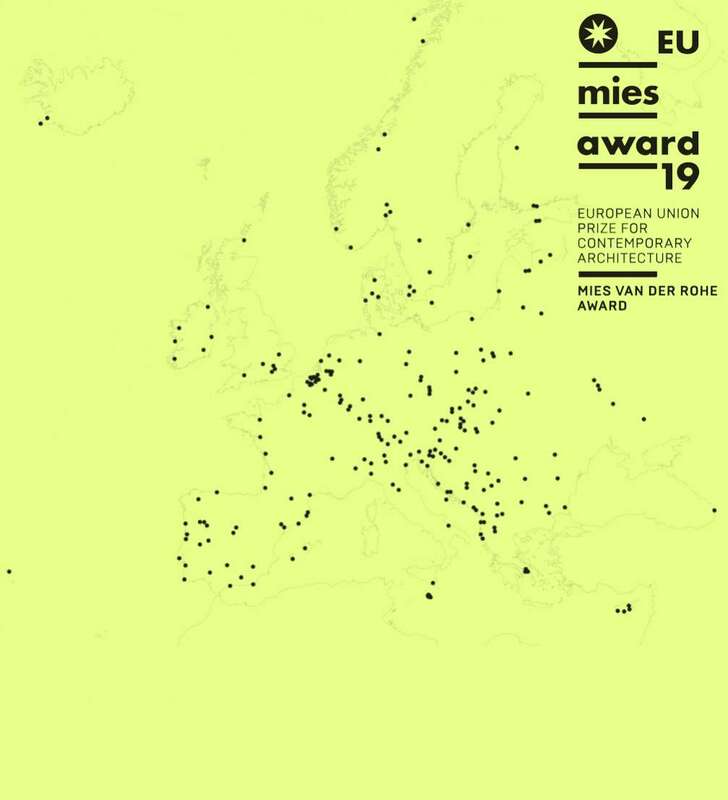 In the contest «European Union Prize for Contemporary Architecture — Mies van der Rohe Award» 383 projects are competing for the award in 2019, out of which 6 are from Latvia. 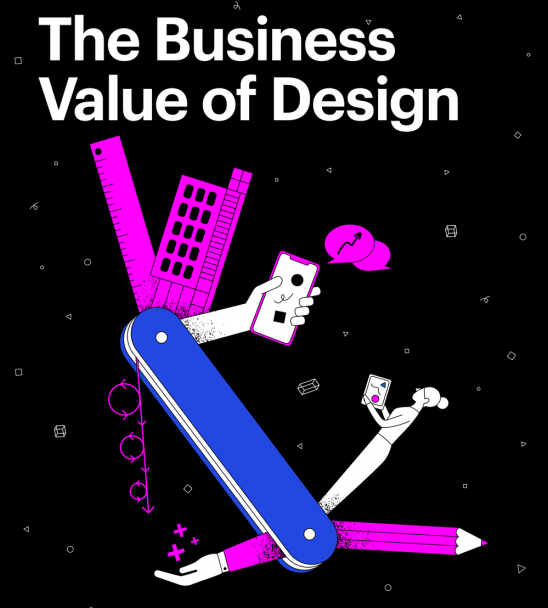 The Mies van der Rohe Award in Architecture is presented every two years from 1988, and now it has become one of the most important and prestigious awards for achievements in architecture. The award strives to reflect excellence and innovation in European architecture, as well as to emphasize the public role of architecture in the wider society. Although the nominations are not limited in scope or program, traditionally the nominees, the shortlist and the finalists are dominated by cultural buildings — this year culture, education and religious buildings comprise a third of all the nominated works. Architecture works for the Mies van der Rohe Award are nominated by professional associations of European countries and independent experts. 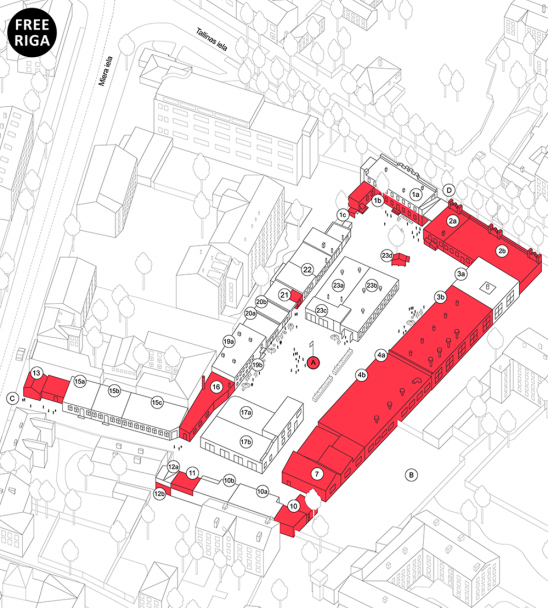 In Latvia, this role is performed by the Latvian Association of Architects, which usually nominates candidates from the prize winners of the Latvian Architecture Award, in collaboration with architecture critic Artis Zvirgzdiņš and the chief editor of the magazine «Latvijas Architektūra» Jānis Lejnieks. Not all of the chosen candidates get a nomination though, as the authors or clients of a project can choose not to participate in such a widely publicized endeavour, and in rare cases, the international jury of the Mies van der Rohe award can deem a candidate inappropriate. This year Latvian architecture from its 8 candidates is represented only by 6 nominees — less than in the previous 4 years. 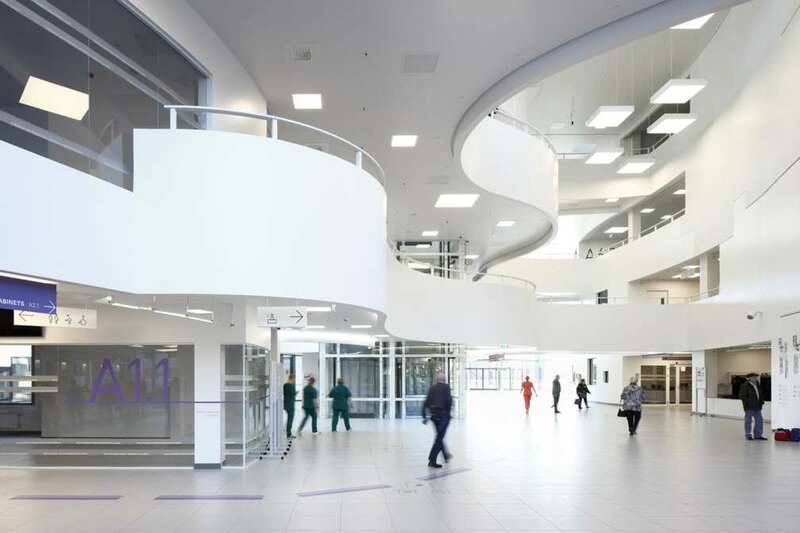 The hospital is designed by the Finnish architecture studio «JKMM Architects» in collaboration with Latvian architects from «Sarma&Norde Arhitekti» and «Nams». Emphasis is put on the everyday experience of users. The space is organised around a central atrium or a «garden walk», which offers views to the surrounding park. In the future, it is planned to bring the nature inside by covering the interior in greenery. 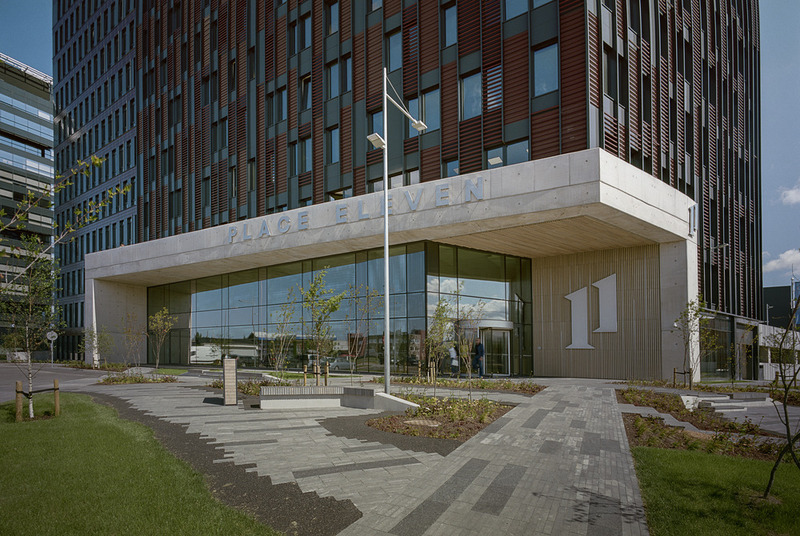 The expressive volume with an intuitive and thoughtful ambiance offers a new prototype in hospital architecture. 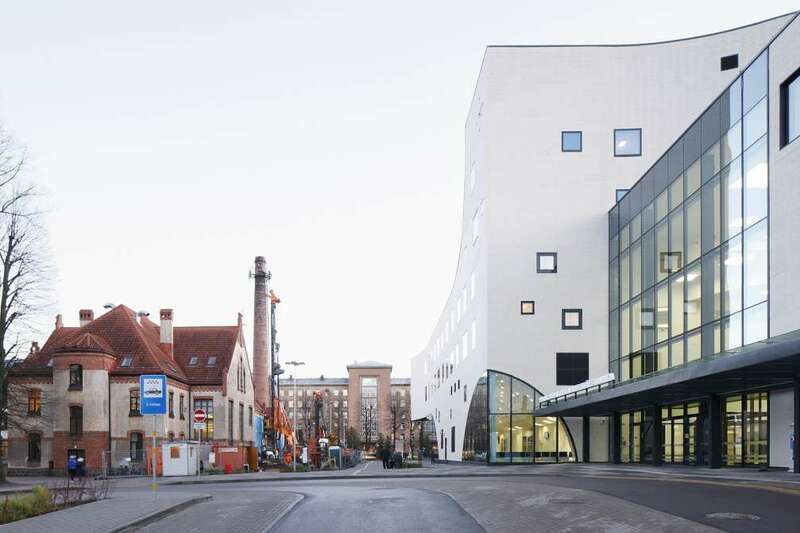 Last year the hospital received the Latvian Architecture Award. 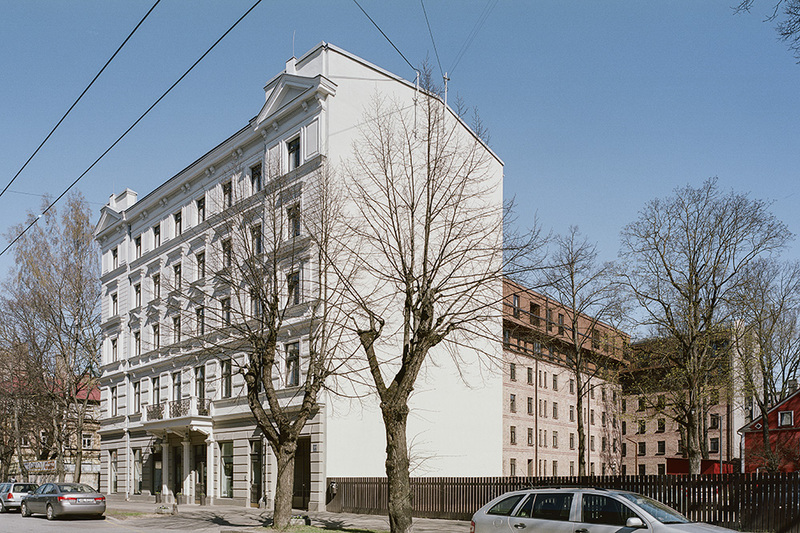 More than a 100 years old tenement buildings refurbished by the architecture studio «12 līnijas» also received the Latvian Architecture Award last year. Although the street facade is reconstructed respecting the historical heritage, the courtyard volumes contrast old and new. By interpreting the legal definition of a cornice line, an overhanging corten steel roof superstructure is designed. 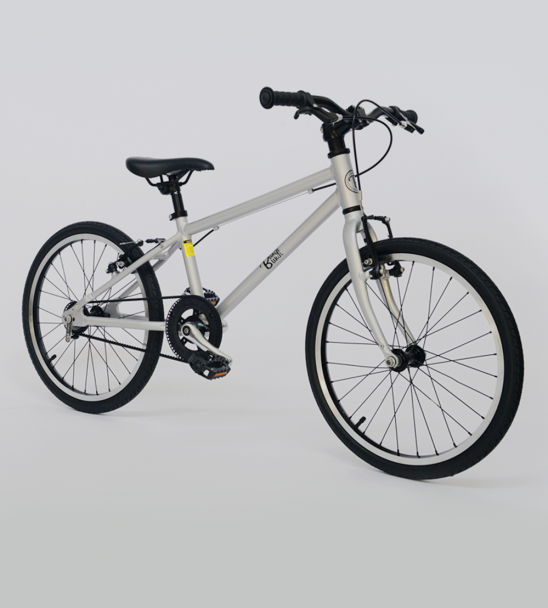 It not only leaves a stunning visual impact, but also increases the area of roof floors. The humanity and homeliness of the courtyard spaces are especially noteworthy in an otherwise decrepit periphery. 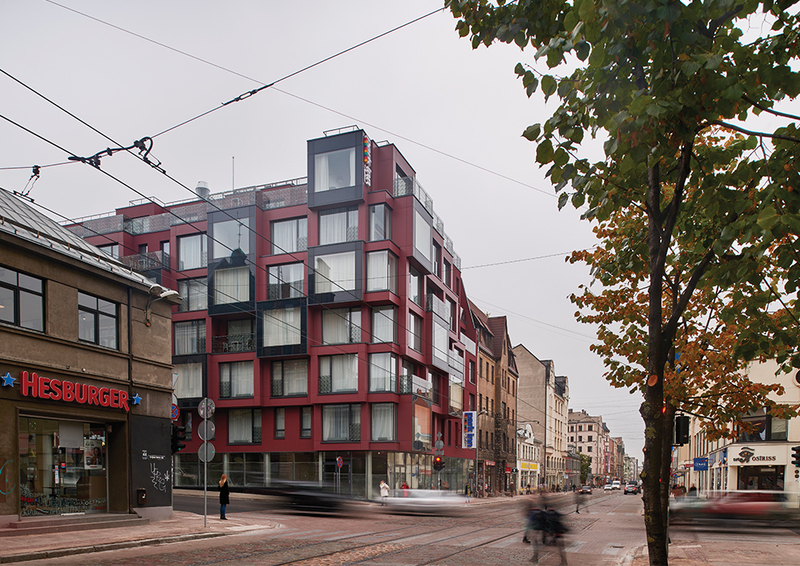 The building designed by architecture studio «NRJA» enriches the historical centre with a bold pixelated facade, which offers a solution to the need to adjust to the differing cornice heights of the neighbouring buildings. 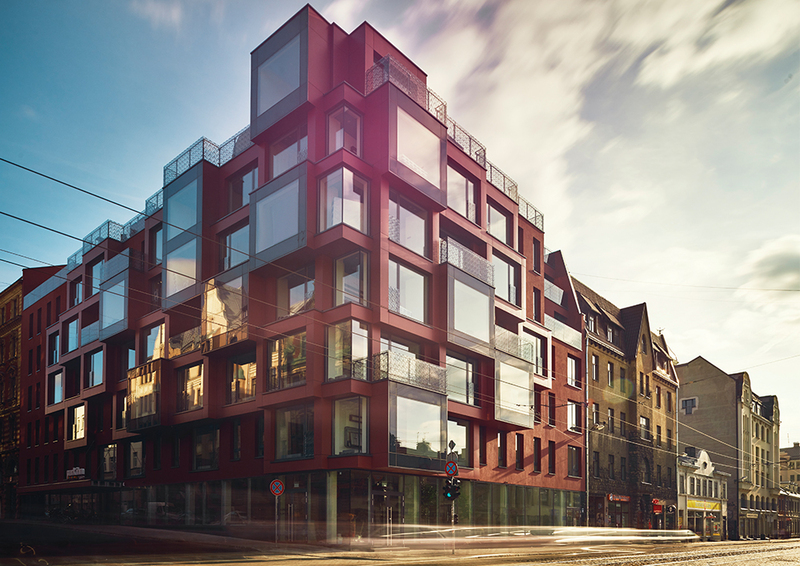 Although the volume sits well in the surrounding context and the colour scheme refers to the local urban environment, «Red Ice» is far from seamlessly merging with the historical architecture. This has been the ground for passionate discussions in the local society, but in this aspect, the boundary breaching architecture corresponds to the spirit of the Mies van der Rohe award. 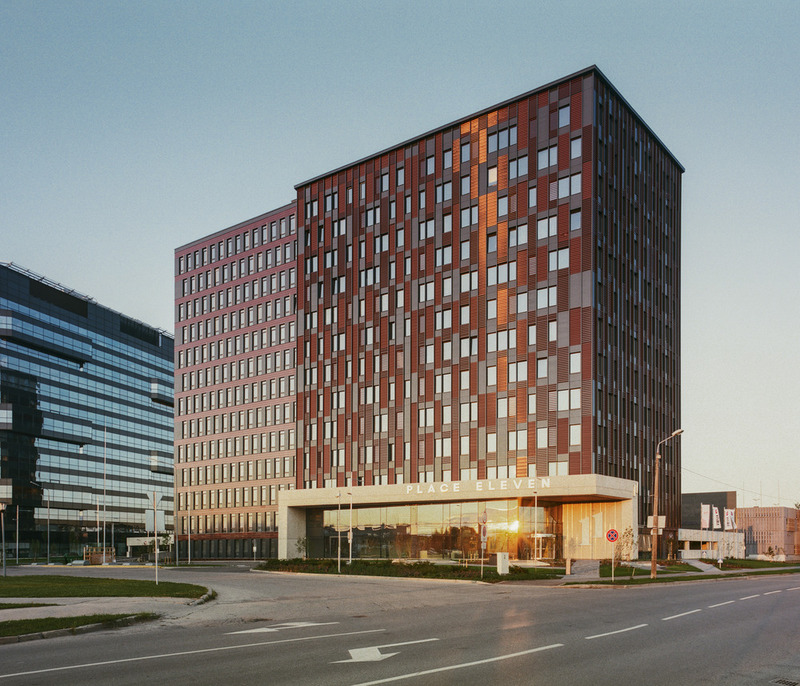 The A class office building stands at the gate of the future Skanste business district in Riga. 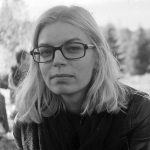 The authors ― «Diānas Zalānes projektu birojs» ― have emphasized innovative technical solutions and BREEAM design sustainability and construction standard principles. 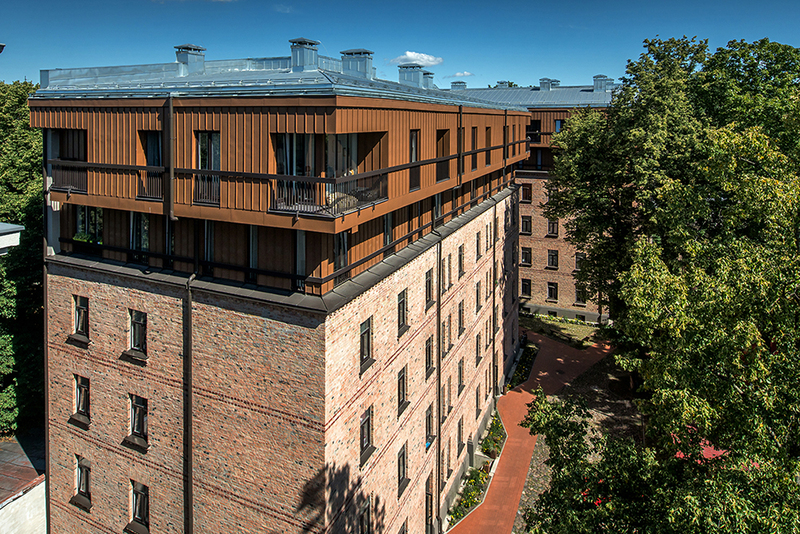 This is the first public building in Latvia that has received the assessment of excellence in within the BREEAM construction standard. We have written about the private house designed by architecture studio «Outofbox» before, thus there’s even more joy to see it nominated for the Mies van der Rohe Award, despite the fact that it is very rare for single family residential buildings to get to the final of the competition. Authors have worked with the utmost respect toward the excellent location in the ancient Gauja river valley, as hills and dales are rare for the Latvian landscape. 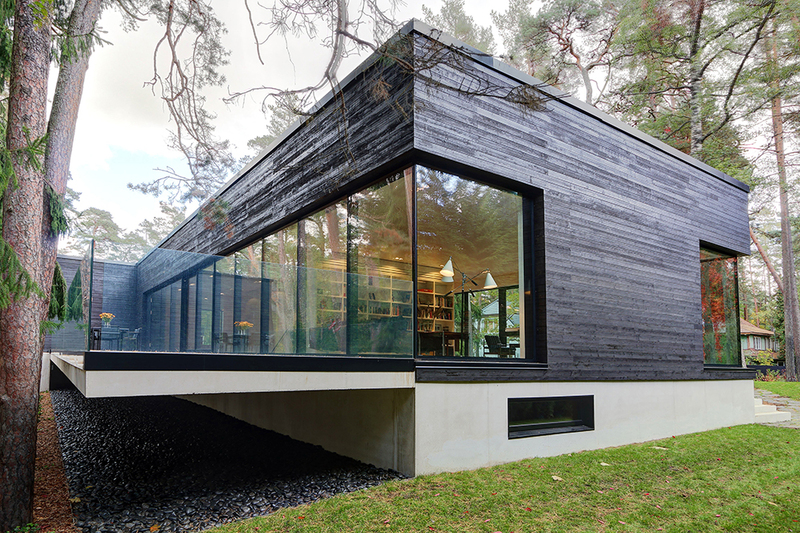 The holiday villa was one of the most noticeable candidates for the 2017 Latvian Architecture award, and the ascetic aesthetic with its rough concrete planes and extensive glazing has earned the recognition of architecture critics. 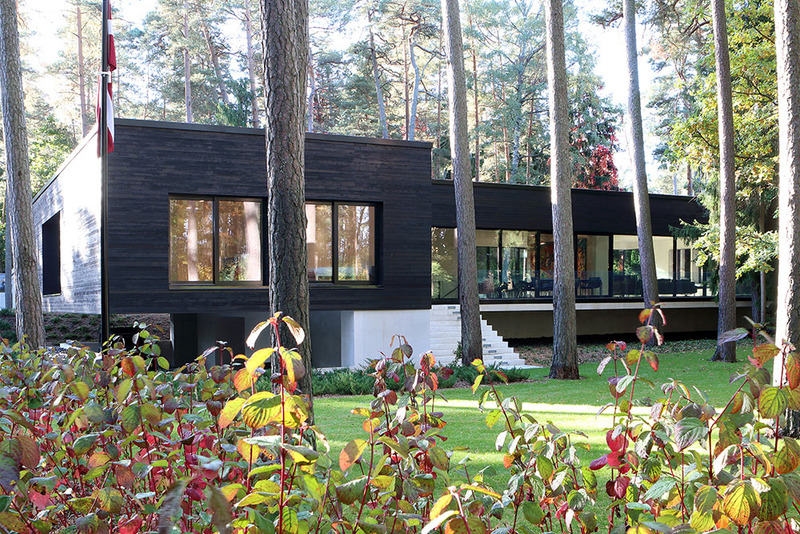 Conceptual clarity and functional purity characterizes the single–family residential house in Jūrmala by architecture studio «Sintija Vaivade_Arhitekte». The ensemble consists of a replica of a former historical timber building that is now serving as a guest house, and of a main volume that copies the spatial structure of the smaller building and harmonizes with its materiality. «Two houses» manage to merge historical craftsmanship with contemporary solutions by combining modern aesthetics with local fishermen building traditions. A shortlist of 40 best works was announced in January; sadly, none of them from Latvia. 20 works were nominated altogether from Estonia and Lithuania, and the Arvo Pärt Centre near Tallinn designed by Spanish architecture studio «Nieto Sojebano Arquitectos» is included in the shortlist. As expected, culture buildings dominate the shortlist with 15 works, followed by 6 education buildings and 5 residential buildings. Most of the shortlist consists of works from West and Central Europe, although Romania, Poland, Albania, Serbia and Slovakia each have a work included in the shortlist. 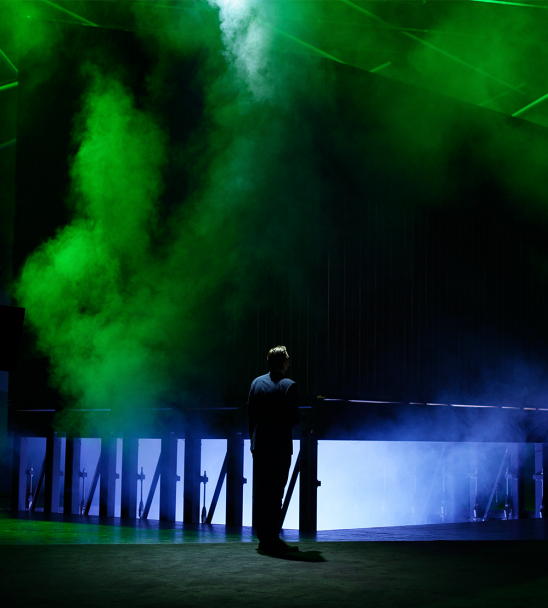 The five finalists of the Mies van der Rohe Award will be announced on February 13 and the Award Ceremony will take place on 7 May 2019 at the Mies van der Rohe Pavilion in Barcelona, where the Emerging Architects Winner will also be announced. The list of all nominees can be found on the Award’s webpage. More information on the nominees from Latvia can be found here.